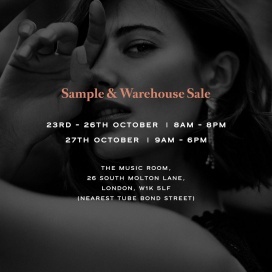 Shop for men and women's apparel at reduced prices at the Toogood Sample Sale. 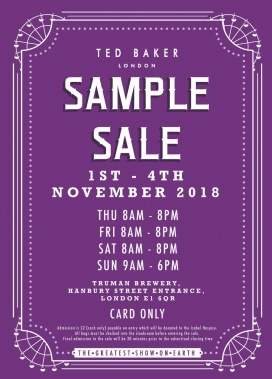 Ted Baker's Annual Sample Sale WHEN: Thursday 1st - Sunday 4th November 2018 WHERE: Truman Brewery, Hanbury Street Entrance, London, E1 6QR CARD ONLY. Admission is £2 (cash only) payable on entry which will be donated to the Isabel Hospice. 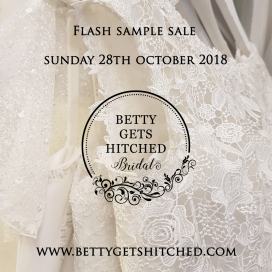 Final admission to the sale will be 30mins prior to the advertised closing time. 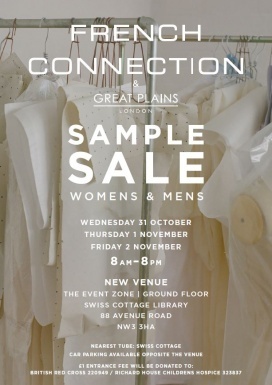 Shop for men and women's apparel and accessories at bargain prices at the Reiss Sample Sale. 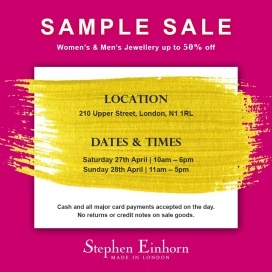 Take up to 90% discount on men and women's apparel at the Banfi Style Designer Sample Sale. Brands included are Pierre Balmain, Jean Paul Gaultier, Gianfranco Ferre, Ermanno Scervino, C.N.C. Costume National, and Just Cavalli. 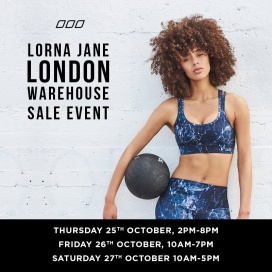 Take up to 60% discount on women's activewear at the Lorna Jane Sample Sale. For one weekend only, our Ballroom will be taken over by the best of cycling. There will be a selection of men's & women's items with great savings across all our ranges. 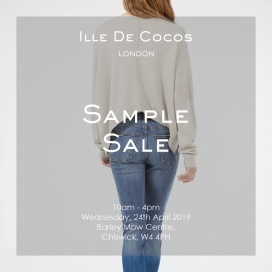 Sample Sale Alert: Come see us in Brick Lane and grab up to 75% OFF your favourite brands & styles from Thursday 1st until Saturday 3rd November. Christmas just came early! Brands: A selection of the 600+ brands available on SilkFred. WHEN: 31st October 2018 to 2nd November 2018, 8am-8pm Donation (£1.00) to the British Red Cross and the Richard House Children's Hospice WHERE: The Event Zone, Swiss Cottage Library, 88 Avenue Road, London, NW3 3HA The nearest tube is Swiss Cottage on the Jubilee Line. Car parking is available opposite the venue. 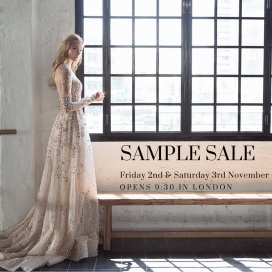 Take up to 50% discount on wedding dresses at the Morgan Davies Bridal Sample Sale. Designers included are Ersa Atelier, Lee Petra, Calla Blance, Inbal Dror, Anna Georgina, Jesus Peiro, and Augusta Jone. Email info@morgandavieslondon.co.uk for more information. 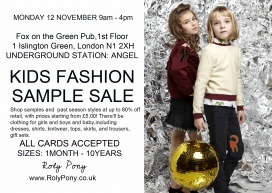 Take up to 70% discount on women's apparel and accessories at the Inexcess Fashion Sample Sale. 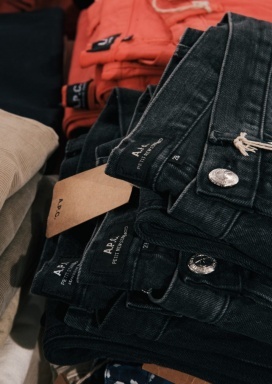 Brands included are NewLily, American Vintage, and Sack's Fashion.